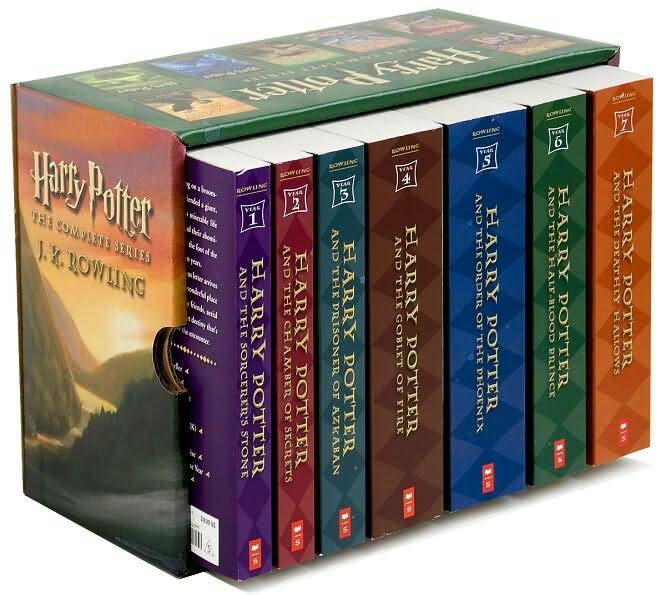 I know these are YA books but I just love everything about the Harry Potter series. There are some people who don't understand the magic part of it and think that Harry Potter involves some kind of devil worship because "witchcraft" is evil or whatever. But when you read the story it's so much more than that. This series is about overcoming obstacles and good winning over evil. It's about a boy who, despite the neglect he gets from his Aunt and Uncle, is still capable of so much love and forgiveness. He was put in a situation where he could have given up but instead he chose to rise up and fight for what he thought was right. This boy's parents loved him so much that they died trying to protect him (especially his mother) and the love they had for him shaped his life. Not only that, but as I mentioned in my post about favorite female character, there is an equality between the male and female characters. It's a great thing for kids to read about. Men and women in these books are evenly matched because magic doesn't require muscle and there is no gender bias. It's the knowledge and experience that really counts. Harry Potter, you complete me.